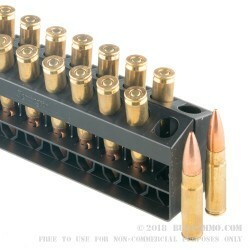 This is a 200 round case of 220 grain Open Tip Match projectile, subsonic ammunition by Remington. 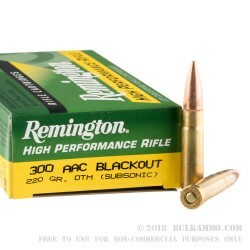 This is a Remington brand innovation, even though it came through the AAC line, and has retained the standardized name of the .300 AAC Blackout. 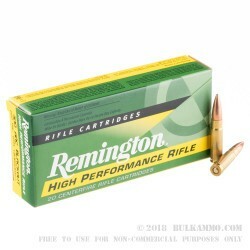 The Remington company has significant investment into the popular cartridge which is the industry standard for suppressible rifle ammunition with pretty legitimate ballistic performance. This, like many other market offerings for the .300 AAC blackout is a subsonic round. The cartridge is famous for its ability to be very impressively suppressed from a sound perspective. The subsonic load offers no supersonic crack because it remains consistently under the speed of sound as it exits the barrel. This doesn’t mean it makes no sound, it will still have pressure sound (the explosion that comes when the gun fires) as the bullet exits the barrel. With a good suppressor, this sound is nearly mitigated and is significantly cut down to the shooter’s ear. 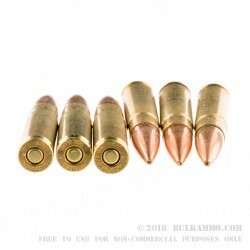 Inside of 150 yards, the terminal ballistics of the .300 AAC Blackout are astounding and even well beyond that with compensation for bullet drop, the round can be used effectively against big game and for personal defense. It represents one of the better home defense calibers on the market if you factor in the sound attributes and short range CQB ballistic performance.